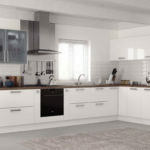 Mereway Kitchens has taken the market by storm this spring with a superb new range of natural wood hand stained and hand painted veneer doors. 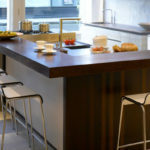 Joining their contemporary Cucina Colore collection, the new veneers present a striking horizontal grain that forms a naturally textured woodgrain surface and come in 4 hand stained finishes from Bleached Oak to Burnt Oak and 5 hand pained options from pure Chalk White through to deeper Truffle and Anthracite. 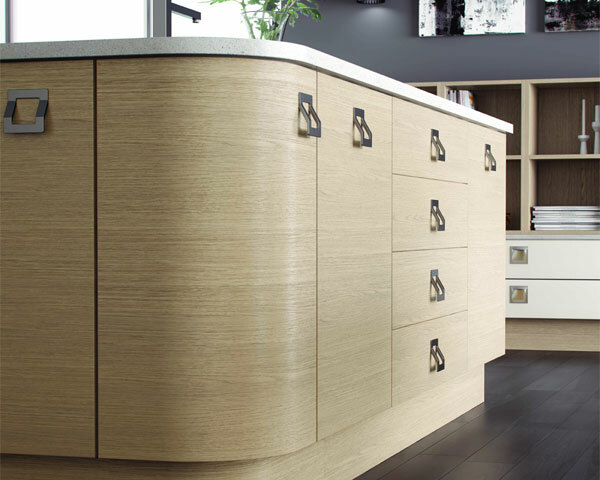 With coordinated plinths available and complementing cabinet options, these new doors are available for all base and wall units, including brand new chunky veneer panels and open veneers shelves in the stained veneer finishes. 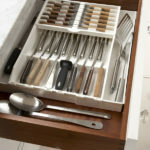 Mereway Kitchens are one of the few remaining manufacturers in the UK that still have the traditional skills associated with hand finishing of this kind. What’s distinctive about these new colours is they imaginatively combine artisan finishing with extremely modern design to offer a market leading look. The beauty of these new colours is how perfectly they mix and match with other silk, soft matt and high gloss finishes in the collection to create unlimited unique contemporary kitchen designs.